In the year in which the English speaking world is celebrating the four hundredth year of the King James Authorised bible it’s interesting to reflect on what a period 1604, when the work started, to 1611, when it was published, was in England. It’s almost impossible for us to imagine seven years of such literary activity. Apart from all the drama that was going on – the richness of Jacobean theatre with such brilliant and highly productive writers as Webster, Tourneur, Ben Jonson, Middleton, Rowley and scores of others, there was William Shakespeare, of course. Wow! I hear you say. Yes indeed. 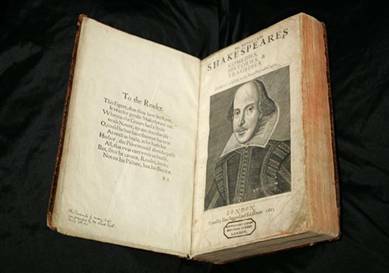 And the effect those two bodies of literature – Shakespeare’s plays and the King James Bible – had on the English language, is phenomenal. Whereas Shakespeare moved the language on with new words flowing like water from his pen, the translators of the Bible sought to preserve the English language in its most formal form, while at the same time creating a poetry of their own. 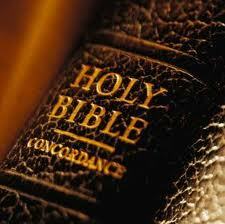 The result was of the authoritative voice of God in the English language. Between them, the two works express the whole range of human activity and emotions in language that is an inextricable part of the human experience they are portraying. It would be impossible to get through a day without consciously or unwittingly using the language of either Shakespeare or the King James Bible to express everyday things. If we find ourselves kicking against the pricks or killing two birds with one stone or having a bloody nose or loving our neighbour or darkening someone’s doorway we are inside the language of Shakespeare and the King James Bible. If it weren’t for those two phenomena the English language would be vastly different from what it is today. Please take a moment to review this content! Two scholars have compiled the first worldwide census of extant copies of the original first printing of the 1611 King James Version (sometimes referred to as the “He” Bible). For decades, authorities from the British Museum, et al., have estimated that “around 50 copies” of that first printing still exist. The real number, however, is quite different! For more information, you’re invited to contact Donald L. Brake, Sr., PhD, at dbrake1611@q.com or his associate David Sanford at drsanford@earthlink.net. You’re also invited to visit the http://www.credocommunications.net/kjv website for more information.